I Got Hooked on HARPOON: WHALE WATCHING MASSACRE! I know what you’re thinking. “This is a going to be a scathing review of a crappy B movie,” right? Well, you’re wrong, though I certainly understand that a title like HARPOON: WHALE WATCHING MASSACRE probably doesn’t evoke images of Academy Awards nor high critical acclaim. While it is true that neither events are likely going to happen for this film, I would strongly encourage horror fans to get themselves a copy. You see, despite the gratuitous title, this movie is clever and a LOT of fun! I was wandering the aisles of the local video store when the title caught my attention. Ever since THE TEXAS CHAINSAW MASSACRE, I am naturally drawn to titles with the word “Massacre” in it. To me, it implies that the viewer is in for some great gore-filled thrills as witnessed in that 1973 classic. Thus began years of collecting any “Massacre” title I could find. CHEERLEADER MASSACRE, SORORITY HOUSE MASSACRE, CLASS REUNION MASSACRE, CHRISTMAS SEASON MASSACRE, and SLUMBER PARTY MASSACRE are just a few I’ve managed to obtain. More often than not, these films may provide a bit of a body count, but never quite match the tension of Tobe Hooper’s masterpiece. Little did I know that fateful day, my luck was about to change. Made in Iceland in 2009 (original title HARPOON: REYKJAVIK WHALE WATCHING MASSACRE), this horror import was just released in the United States in December 2010. As the US was just ending a rather weak year in horror film releases, it couldn’t have come at a better time. 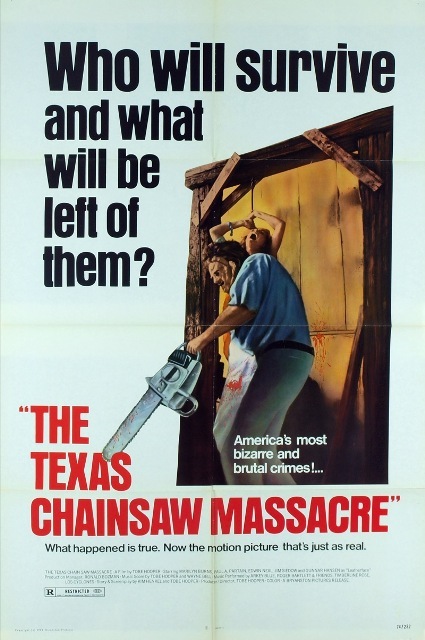 Unlike the aforementioned “Massacre” films, this movie actually does pay homage to TEXAS CHAINSAW MASSACRE. Not only does it feature one of that film’s alumnis (Gunnar Hansen) it also features a similar plot; inbred family of cannibalistic psychos feasting on those unfortunate enough to cross their paths. 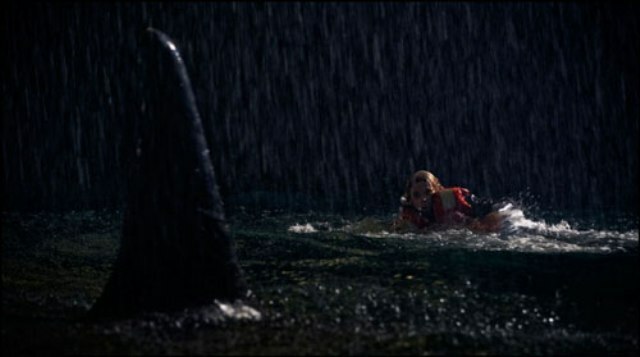 Instead of the dry Texas dust-bowl, or the lush West Virginian woods (as is the case in the similarly themed WRONG TURN) this film takes place in the open ocean. This also provides a bit of historical context and a clue to the film’s title. Probably the most disturbing aspect of the film is in the opening credits that feature actual whaling footage from Iceland’s past. This is a country which prospered during a time when whaling was at its peak and may never have fully recovered since its end. As an animal lover, I find whaling to be a dreadful practice. Regardless of your feelings about the whaling industry, the fact remains that there is NO humane way to kill Earth’s largest animals. The movie, however, does a fairly good job in not only portraying the dissenting viewpoints of the debate, but also pointing out just how ridiculous members of both sides can be. This is just one of the reasons this film is more than just your average “body count” slasher. It also has some rather interesting characters that break the stereotypical list of victims. 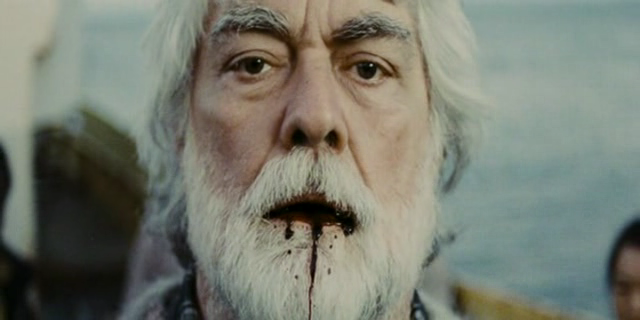 The film features a racially diverse group of whale watchers who are all pretty despicable people. That is with the exception of the lone African American who finds a fate similar that of “Ben” in NIGHT OF THE LIVING DEAD. There’s also some cool death scenes, including a whale’s-eye view of an incoming harpoon (though not targeting an animal). And speaking of whales, there’s another memorable scene that will cause you to never look at “Free Willy” the same way again! 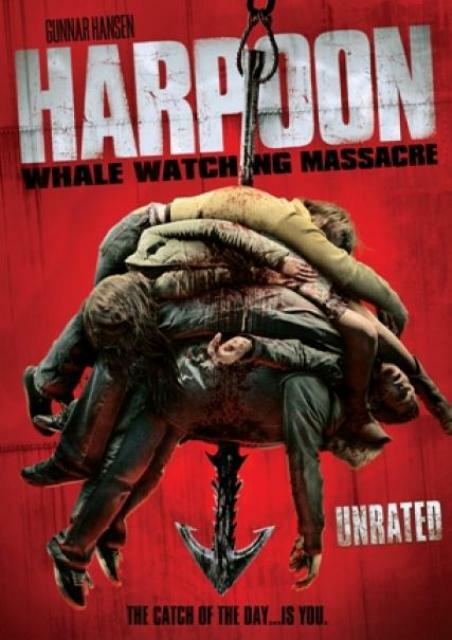 Head over to Amazon, Netflix or possibly the Walmart bargain bin and grab yourself a copy of HARPOON: WHALE WATCHING MASSACRE. You’ll soon find yourself hooked….with no cause to blubber! This entry was posted in Movie Reviews, Slasher Movies and tagged CHEERLEADER MASSACRE, CHRISTMAS SEASON MASSACRE, CLASS REUNION MASSACRE, GUNNAR HANSEN, Harpoon Whale Watching Massacre, HARPOON: REYKJAVIK WHALE WATCHING MASSACRE, SLUMBER PARTY MASSACRE, SORORITY HOUSE MASSACRE, TERROR ON TEQUILA, The Texas Chainsaw Massacre. Bookmark the permalink.